10 / 10 based on 1 reviews. 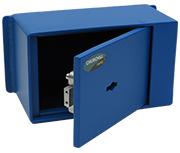 You Safe is excellent for someone who needs a small robust, value for money wall key safe. They informed me that is very easy to install and was surely most secure because it would be most difficult to remove from the wall that it was installed into. So I was warned not to change my mind on its location.